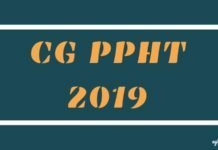 TNPPCAHS Result 2019 will be declared by the Tamilnadu Private Professional Colleges Association Health Sciences on the public domain. The Result of entrance exam for the M.Pharm Degree Courses will be announced within two days after the conduction of the Entrance Exam. The Result will be published in the format of merit list on the www.tnppcahs.org. 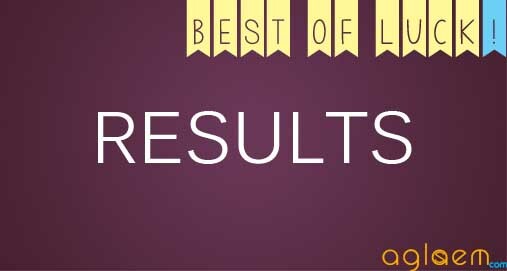 After the publication of Merit List, the candidates should contact the respective colleges. The Candidates shall also visit the Tamilnadu Dr MGR Medical University website www.tnmgrmu.ac.in for a further update regarding the admission into M.Pharm Degree Courses. 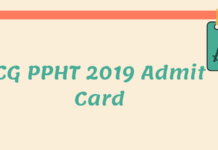 Candidates can check the TNPPCAHS Result 2019 and other details on this page. Candidates can check the merit list will be displayed on the website at www.tnppcahs.org. The Merit List will be made of total mark of 100 drawn by the examination authority, 90 marks will be awarded for the Entrance Examination and also added 10 marks for the experience. 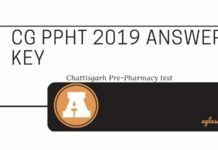 The direct link to check TNPPCAHS 2019 Result/ Merit List for M/ Pharm Course will be provided on this page as per official announcement. Result / Merit List: The Result of Entrance Exam for the M.Pharma courses will be displayed on the official website www.tnppcahs.org. In case of two or more candidates obtaining equal marks out of the total of 100 marks, the inter-se-merit of such candidates shall be determined on the basis of the following order of preference. Marks obtained in the Entrance Examination. Least number of appearance in the final Semester of B.Pharm., Examination. Total marks obtained in the final Semester/ final year examination of B.Pharm course. Seniority in age will be given preference. Candidates selected for admission should give a declaration that he/she is liable for forfeiture of admission if suppression of facts is found at any time during or after admission to the course. The admission shall be liable for cancellation based on the declaration at any time during or after the admission to the course. The marks secured by the candidates in the Entrance Examination shall be considered for the purpose of preparing the Merit List. Below we mentioned last year list of the Member Institutions for M.Pharm. As soon as the official authority will release the same we will update here. 2/305 Rajiv Gandhi Salai, Old Mahabalipuram Road, Thorapakkam, Chennai -600 096. No:81, V.G.P Salai, Saidapet West, Chennai – 600 015. Medavakkam Road, Sholinganallur, Chennai – 600 119. Jaya College of Pharmaceutical Sciences College of Pharmacy, CTH Road, Thiruninravur, Chennai – 602 024. Sri Ramakrishna Institute of Paramedical Sciences, No: 395, Sarojini Naidu Road,Sidhapudur P.O, Coimbatore – 641 044. Post Box No.1674, Avanashi Road, Peelamedu, Coimbatore 641 004. Kovai Estate, Kalappatti Road, Coimbatore – 641 035. No: 521, Siruvani Main Road, Telungupalayam Pirivu, Coimbatore – 614 039. S.F.No.762, Ottakkal Mandapam Village, Coimbatore- 641 032. Krishnagiri Main Road, Periyanahalli (P.O), Dharmapuri – 635 205. Koorapalayam Pirivu, Pitchandampalayam Post, Erode – 638 042. Perunthurai Main Road, Veppampalayam, Vallipurathanpalayam Post, Erode – 638112. Melur Road, Uthangudi, Madurai – 625 107. Melmaruvathur – 603 319. Kancheepuram District. Ethirmedu, B. Komarapalayam – 638 183. Komarapalayam – 638 183. Namakkal District. Old Nagore Road, Nagapattinam – 611 002. K. Sathanoor Main Road, Tiruchirapalli – 620 021. Cheyyar Taluk, Thiruvannamalai – 604 407. Anand Nagar, Krishnan Koil – 626 190. Srivilliputhur Taluk, Virudhunagar District. Nallamani Nagar, Kodikurichi P.O Tenkasi – 627 804. Tirunelveli District. Click here to check the last year list of the Member Institutions for M.Pharm. Insofar, Official Notification regarding TNPPCAHS Admission 2019 has not been announced yet. Information on this page as per last year details. As soon as the conducting body will release the official notification the same will be updated here.